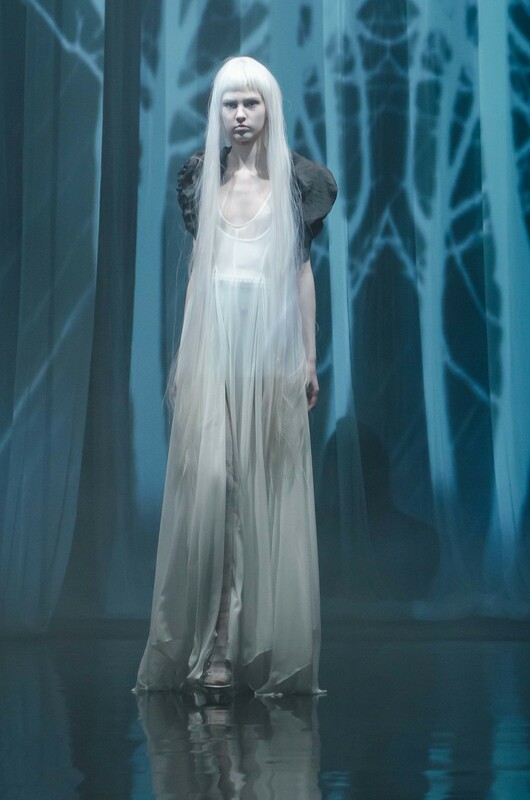 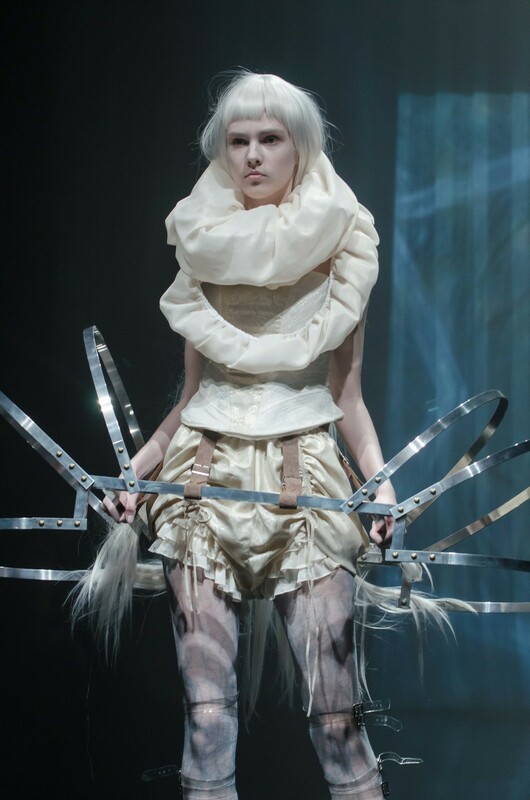 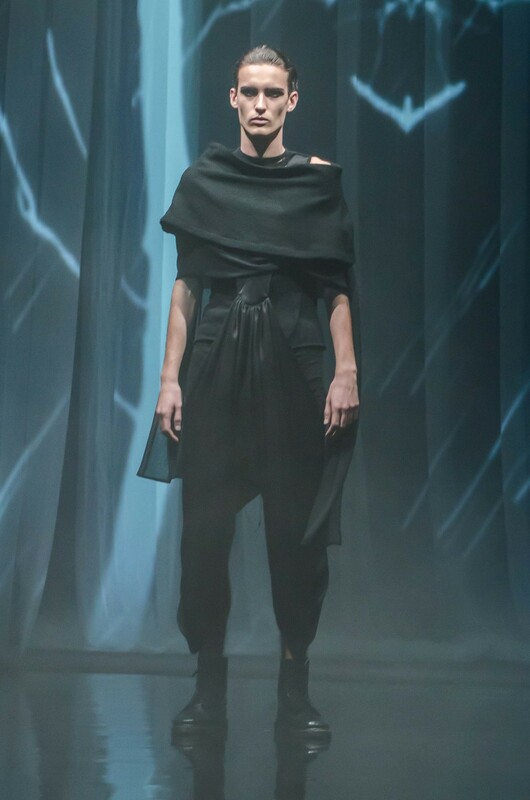 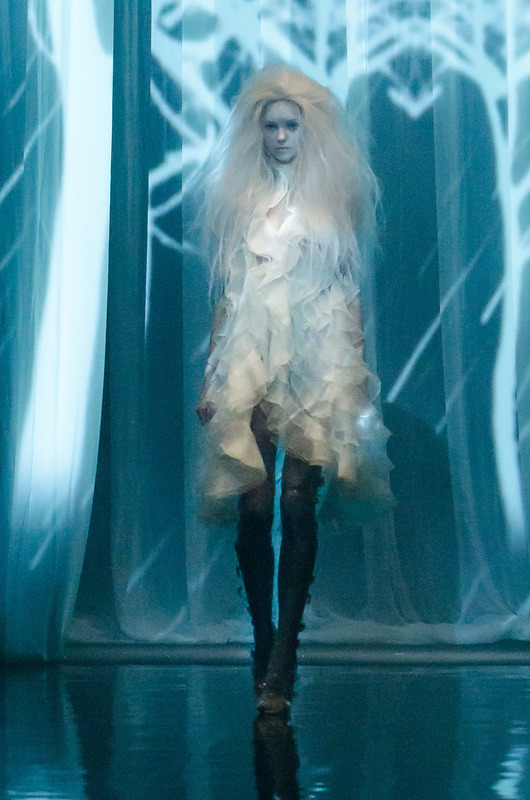 You'd be hard pressed to find any designer on earth who does drama better than Yasutaka Funakoshi of Alice Auaa. 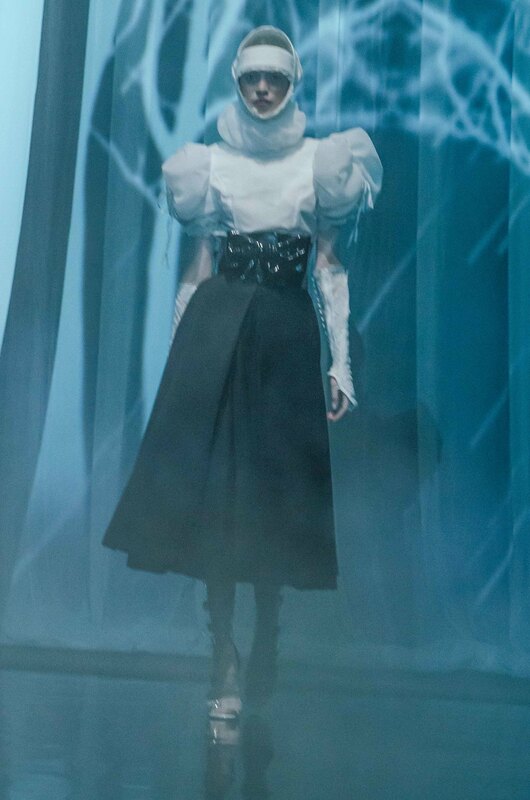 For Spring 2014 he proved once again that his imaginative designs, and couture-level construction are capable of elevating "gothic" into high fashion theater. 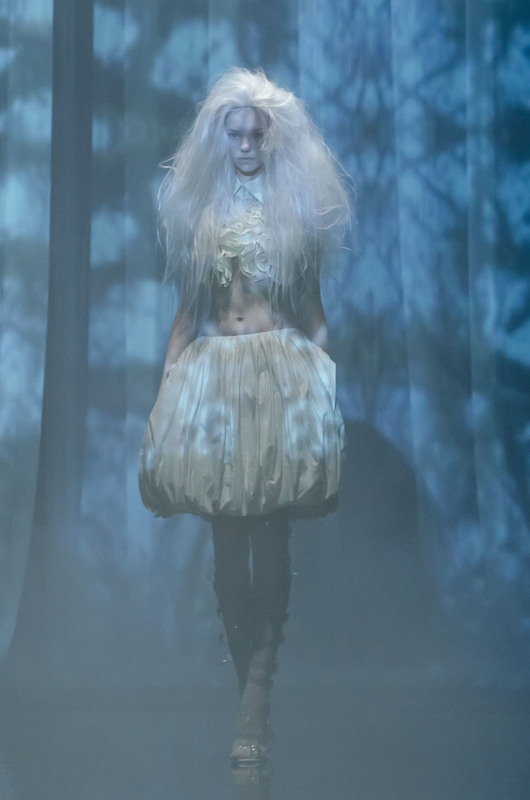 Stepping away from the dark and nightmarish direction of his Fall 2013 collection Aragne, the designer looked towards the deep blue sea, and created a dreamy world populated by corseted mermaids and other aquatic oddities, which he titled Sleep in Water. 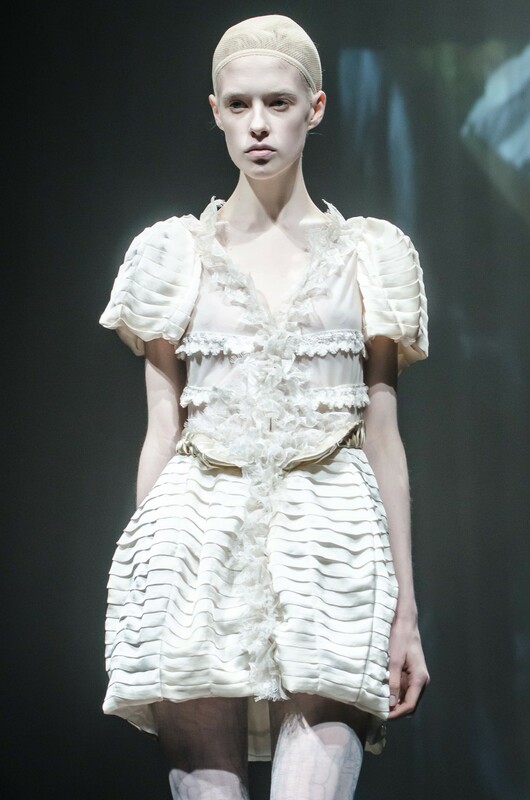 The expected ruffles, lace, and miles and miles of silk were all present in the collection, but this time they were paired with a torrent of surprising details such as textured tights that gave the impression of fish scales, light as air netting that resembled sea foam, clam-shell skirt silhouettes and one jaw-dropping head piece that defies description, and truly needs to be seen to be believed.